I have just begun a renewed study of the Aztec Codex Boturini, or Tira de Peregrinacion. This is one of the earliest Aztec codices we have available today, most having been destroyed by the invading Spaniards. 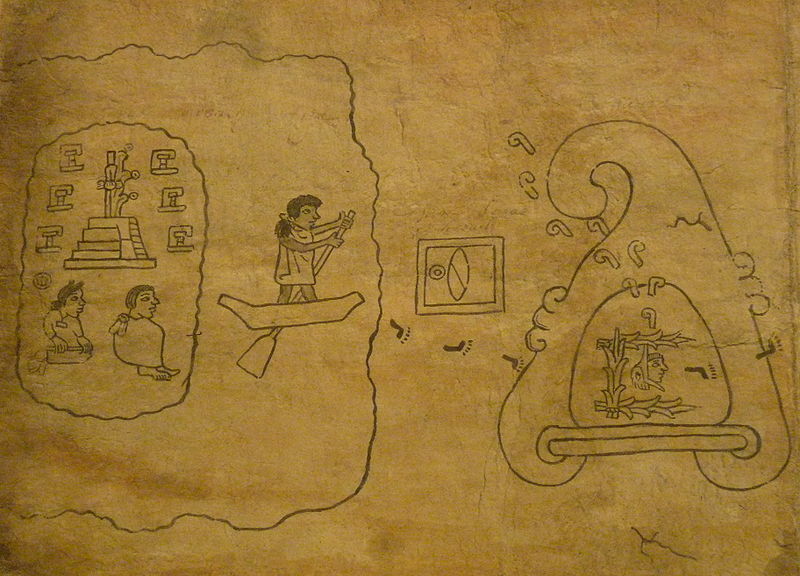 It is supposedly a copy of a pre-conquest native document giving the history of the Azteca or Mexica peoples. 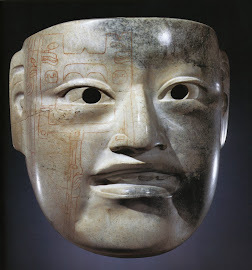 It was apparently found by Lorenzo Boturini, who was one of the foremost collectors of Mexican antiquities, during the early colonial period, and thus bears his name. Boturini had been instructed in the interpretation of the native documents by the first generation colonial Indians who still understood them. Boturini accumulated a massive collection of ancient documents, but before he could do anything with them, he was arrested by the Spanish authorities and deported to Spain. His collection languised in storage in colonial Mexico for many years. Much was lost, stolen or destroyed. Today a small remnant of his collection is found scattered in a number of museums. Boturini was never able to recover his collection or return to Mexico. He later wrote a lengthy book containing his recollections and interpretations of the Indian documents. Unfortunately this was all done from memory as he had no access to the originals. Mariano Veytia was a benefactor/disciple of Boturini who inherited a portion of his collection and was tutored by him in the interpretation of the documents. Using the knowledge gained from Boturini, as well as his own lengthy study of the documents and the native histories, Veytia wrote a treatise on his interpretation. The English translation of this book is entitled Ancient America Rediscovered. I would recommend it to anyone interested in this subject. I am using Boturini's and Veytia's interpretations in re-evaluating this document as I think it has been misinterpreted by most scholars. They generally tend to give a recent date to the history depicted by the codex. 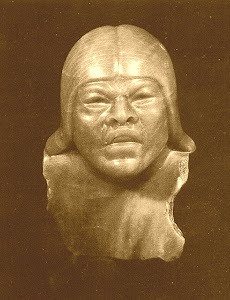 However I feel that it relates the earliest history of the native Americans and their migration from the Old World, dating back to perhaps 2000 BC. Both Boturini and Veytia, as well as others, indicate that the Indians emphasized that their ancestors came from the middle east, and were participants in the construction of the Tower of Babel. This is, of course, rejected by modern scholars, who feel that the natives adopted these myths from the Catholic fathers who were teaching them Christianity. Although I don't have any particular expertise in this area, I do have the advantage of a written history to supplement the codex, something the experts do not have or have ignored. The Book of Ether has a great deal to say about this same history and corroborates the antiquity and veracity of the Indian accounts. In Ether we find, related in great detail, the exact stories that the early natives told Boturini regarding their origins. At this point in time I will only discuss two of the 22 folios contained in the codex. Excellent depictions of all the folios can be found online on Wikipedia. I will comment on folio 1 and 11. These are my own interpretations and do not follow the accepted translations offered by most scholars. I accept full responsibility for any errors or misinterpretations. Folio 1 is the beginning of their history. It could be compared to our book of Genesis in the Bible. To the left we have a couple which I believe represent Adam and Eve and the creation of the world. The woman has a name glyph coming out of her shoulder. Above the couple there are 6 “house” glyphs and a “temple” glyph. These could possibly refer to the periods of creation. To the right we have a body of water and a man crossing in a canoe. I suggest that this refers to Noah and the universal flood. Next we find a date box with the beginning date of "one flint" or year one. This may indicate the beginning date of their history following the flood. Incidently, these date boxes, in subsequent folios, indicate the number of years (one year for each box) that they were in that specific place. Below the date box we have a series of footprints which indicate travel. Next we have the symbol of Babel. This is an oft used symbol which can refer to a mountain or a town. In this case I believe it refers to the original Tower of Babel, symbolizing the partially destroyed great tower, or the “broken mountain.” Inside the glyph we have the symbol representing God who confounded the languages and scattered the people. The “speech glyphs” coming out of the mountain represent the languages resulting from the confounding of tongues. Then we have footprints traveling away from the mountain as the people leave Babel. This follows the account given in the book of Ether chapter 1. In folio 11 they have been traveling for 95 years (according to the year glyphs recorded in the previous folios). I believe this is an important folio because it seems to show the end of their land journey and a sea crossing. First we have the glyph of an insect which I am interpreting as a honeybee on a comb. This could even be the “deseret” that is mentioned in the text. The bee may have religious significance. Hugh Nibley seems to think so (see his Lehi in the Desert and the World of the Jaredites). The travelers reach a point where they must travel by boat. We have four year glyphs. Then the canoe and continued travel to the other side where there are four more year glyphs. I suggest that this folio refers to the time when the Jaredites reached the seashore and spent four years there. The Lord has to intervene to get them moving again. They build barges and set out across the great sea. Luminescent stones are miraculously provided to give them light on their long journey (compare Ether chapters 3 and 6). Let me finish with a note on the date glyphs in the folios. Each square, or date glyph, represents one year. The Aztecs used four date glyphs, the flint, the house, the rabbit and the reed. These are accompanied by number dots from one to thirteen. The date glyphs are repeated over and over again, each time with the succeeding number until 13 is reached, then the it starts over again with 1. This sequence can be repeated for 54 years without repeating the same combination. This 54 year cycle represents an "age" which to the Aztecs was similar in concept to a century for us. You will see in folio 11 above that there are 8 year glyphs. Starting on the bottom left we have 7 flint, 8 house, 9 rabbit and 10 reed. Then on the right going down, we have 11 flint, 12 house, 13 rabbit, and then starting over again, 1 reed. I find these ancient Indian histories intriguing and will return to them at a future date. I think it is a fruitful field and would encourage anyone, especially an LDS scholar with expertise in Mesoamerican linguistics, to examine these histories in light of the knowledge we have in the Jaredite record.